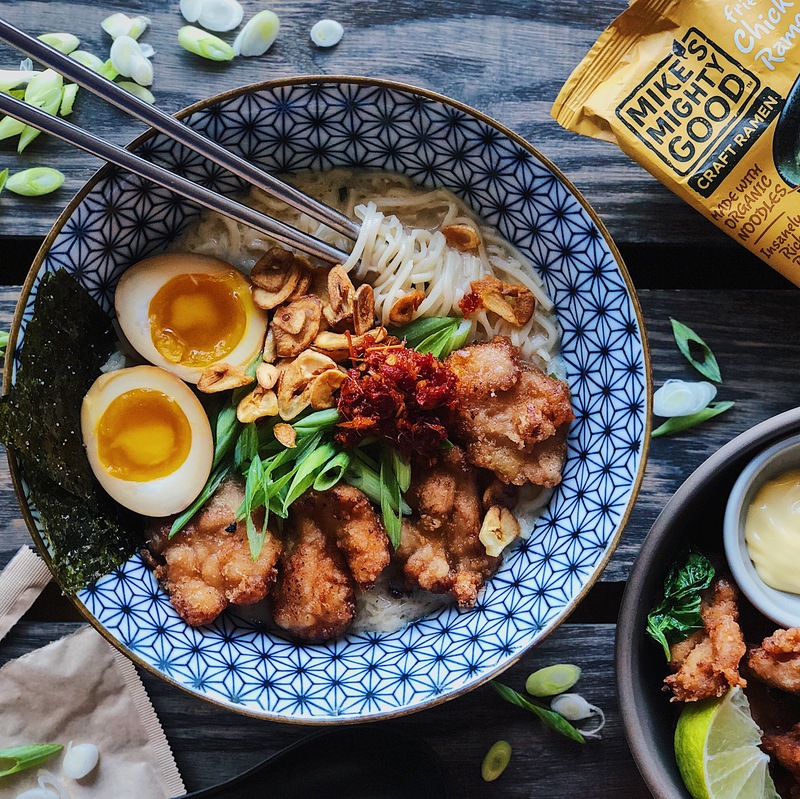 About the author: I am a San Francisco based food blogger. When I am not doing something related to food (e.g., cooking, photographing, eating), I am probably flying somewhere with good food, struggling to apply my eyeliner symmetrically, or cuddling with a dog. For more from me, check out my Instagram (@lilybubbletea) or my website. Hi Nomsters! It’s such a pleasure to be writing a guest post here. I get a lot of really sweet comments on my Instagram (@lilybubbletea) from people asking me to teach them the mystical art of how to flat lay, so when Robby asked me if I could share some flat lay tips, I thought—okay, now I have to actually think about what my process is! I like shooting food photography flat lay shots for a couple reasons. First, I shoot all my Instagram content on my iPhone X, so I don’t have the same control over depth as I would with a camera; I can get away with shooting flat lays because everything is on the same plane. I also like flat lays because I think you can present more information with them. I make a lot of bowl foods and toasts so flat lays can really show off these types of dishes. Flat lays also provide an opportunity to include personal flair and style (more on this later). 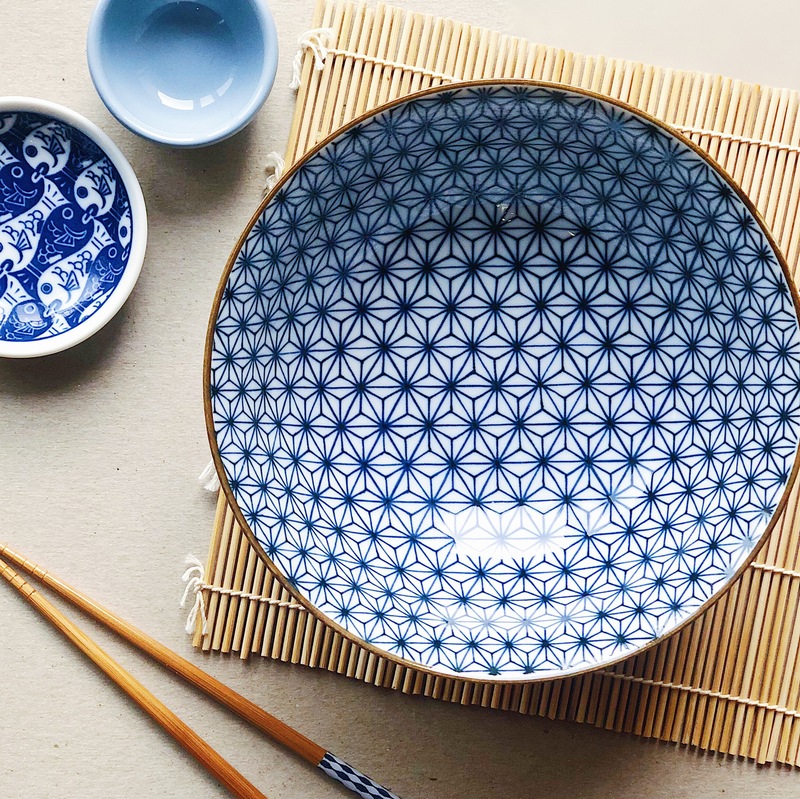 For me, there are two key considerations for getting a good flat lay—composition and content. I’m gonna try to break both of these down for you. All good food photos must have good composition but I think this is especially important for food photography flat lay shots. Because everything is literally laid flat together, everything in the photo is saying “here we are!” so other photography principles like the rule of thirds don’t always apply the same way. Most of the time I just have one dish that I want to focus on and I put it right in the middle. This is a good way to start if you are new to food photography flat lay styling, but this is not the only way. 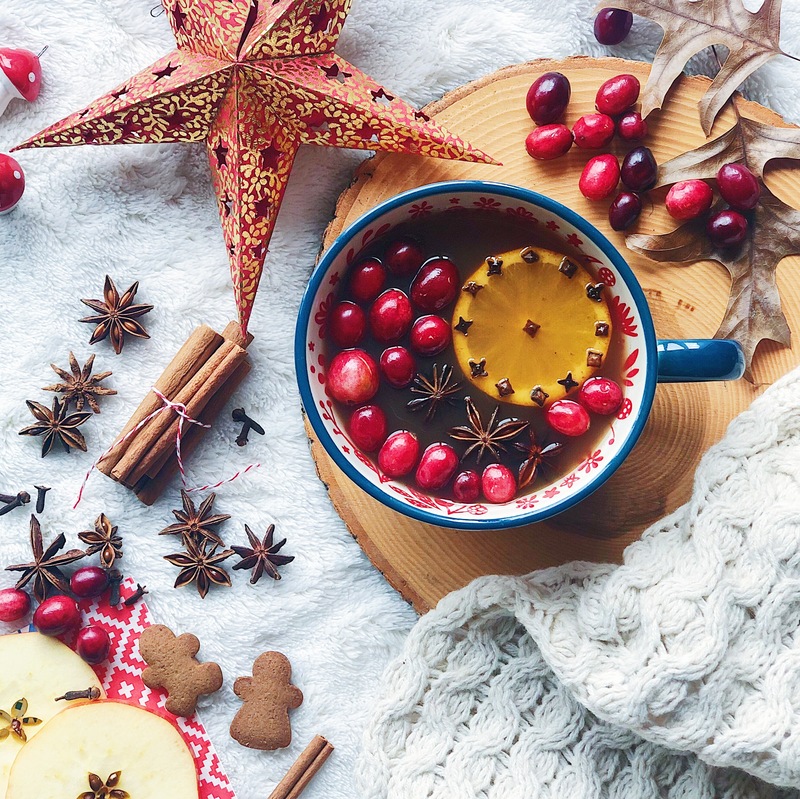 Working with food is often very time sensitive; things drip, melt, or dissolve, leaving food photographers without a whole lot of time to get the perfect yummy shot. So whenever I can, I try to lay out the composition before the food is plated. I start by setting down a placeholder for the focal dish. It’s important to use the same plate or vessel that the food will actually be served in, because you are planning out how the space is being used up in your shot. I then fill the space around it with supplemental items and take a bunch of test shots. Sometimes rotating a bottle just a couple of degrees or nudging a slice of radish a few millimeters makes a difference! Setting up a flat lay is all about experimenting and adjusting until you get the composition that feels right. So I try to do as much as I can before the food gets put into place! Balance is important for the composition of a flat lay, especially when you’ve got your focal point right in the middle. Balance is not the same thing as symmetry but you do want both sides of the photograph to have the same visual weight. 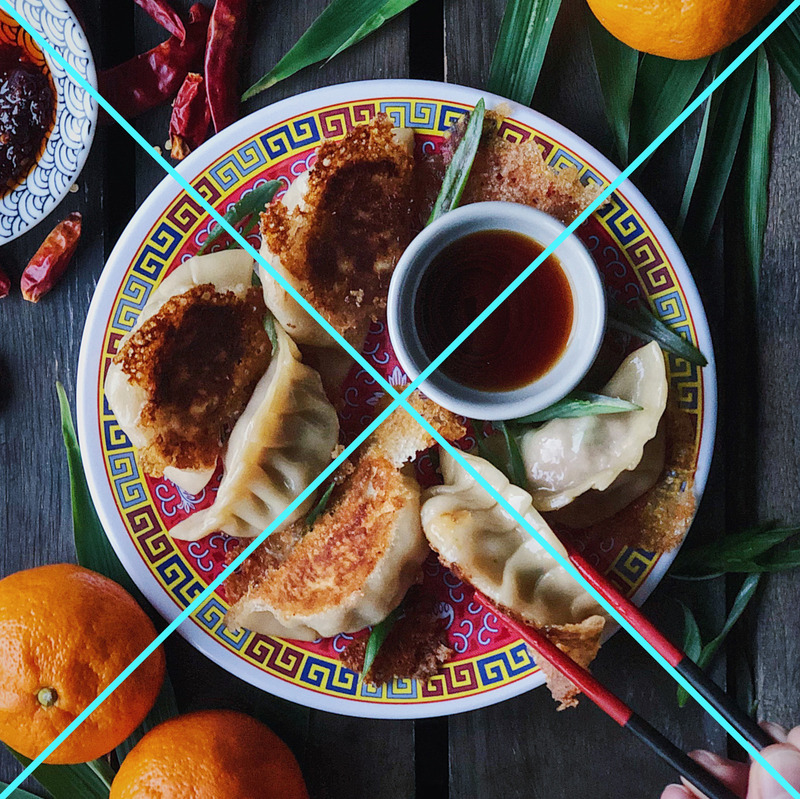 I usually imagine diagonal lines connecting the corners of the photo, making a big X with the main dish at the intersection point. I’ll either place smaller, supplemental items in opposite corners or cluster them towards all four corners. 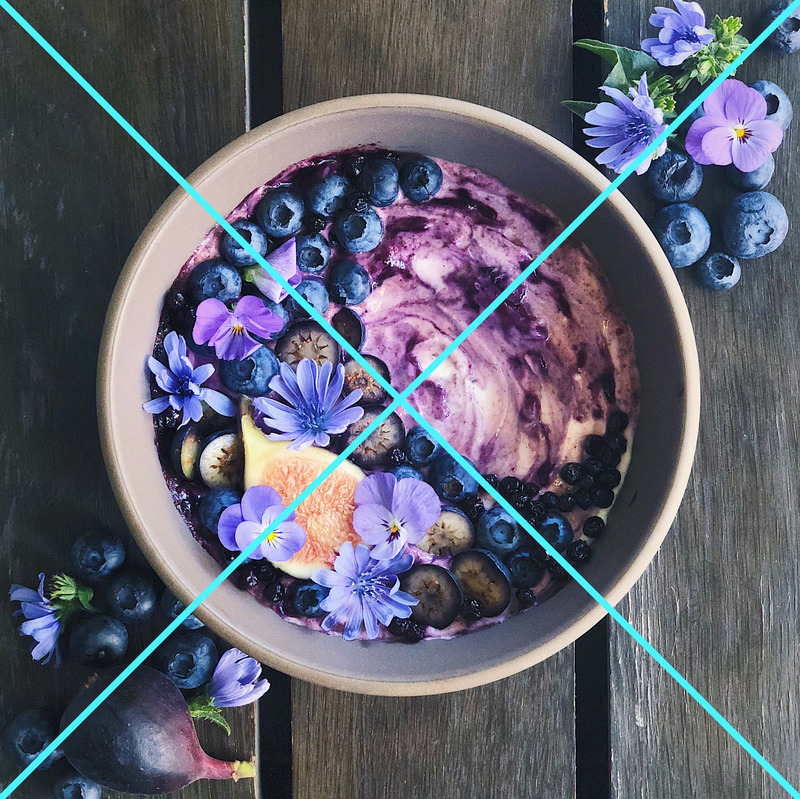 If you’re just starting to experiment with food photography flat lay photos, I recommend letting this idea of the X be your guide. How you crop your photo is a major part of editing a good flat lay. I like making the viewer feel like they are seeing a moment within a bigger story. 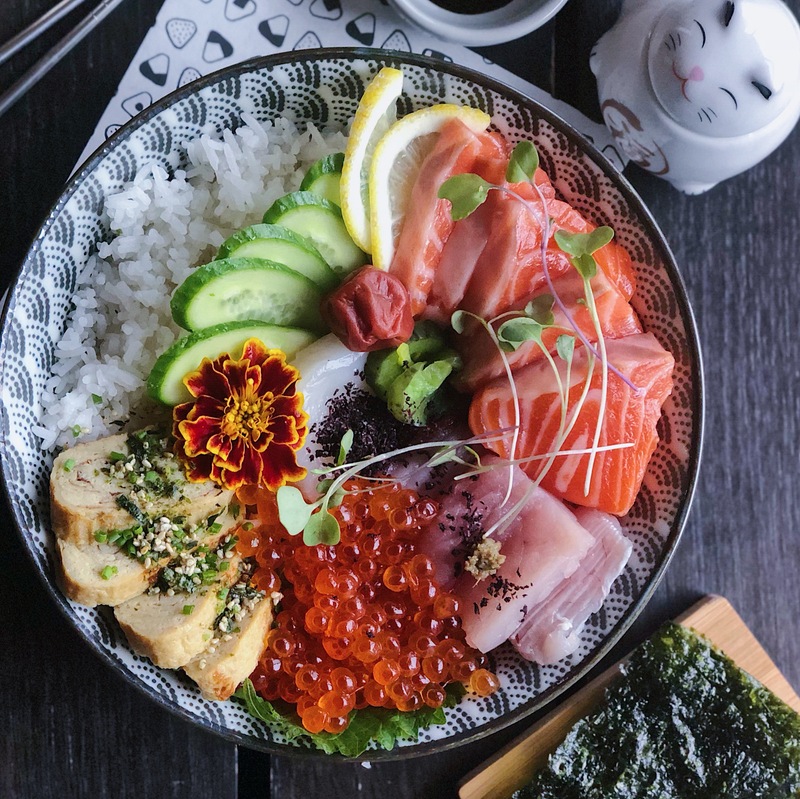 Most of the time, the only thing shown in its entirety is the focal dish, and everything else is cropped off at the edges of the photo. This makes the space feel full while still making it clear to the viewer what the main attraction is. Sometimes after laying out a crazy spread, only a tiny sliver of a leaf or a utensil makes it into the photo—but that sliver still makes a difference! I’ve learned not to become too attached to the work I put into styling the environment around the focal dish; it’s okay if the end result doesn’t include all that much of my favorite condiment bowl as long as the composition of the overall photo feels nice and balanced. I think of flat lays as a way to tell a story without words. 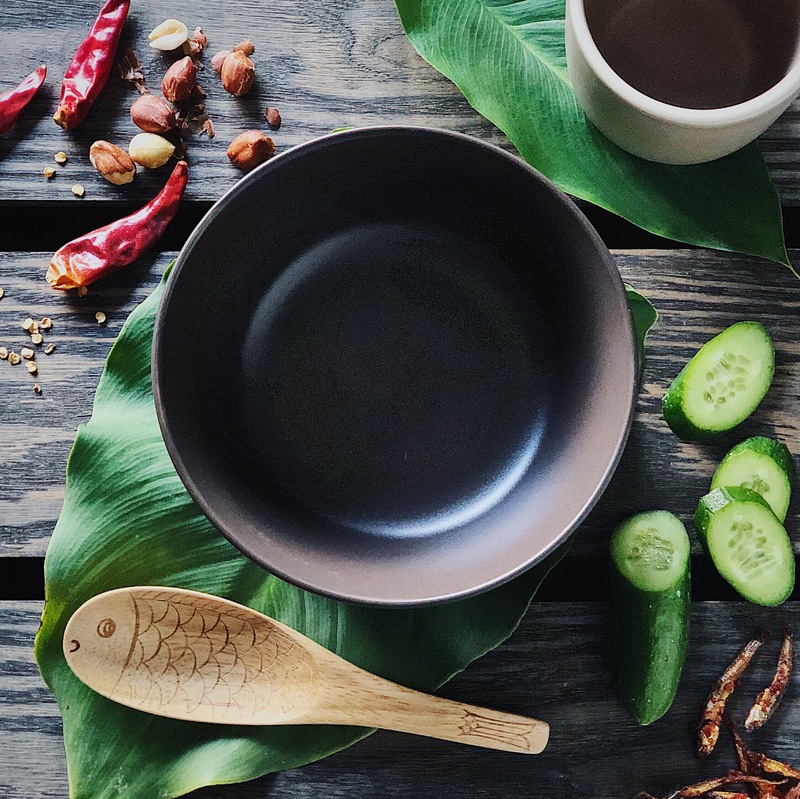 Including the right supplemental props in your food photography flat lay can provide your viewer with more context and can capture their interest as they subconsciously formulate their own mental story based on the information that you’ve given them. 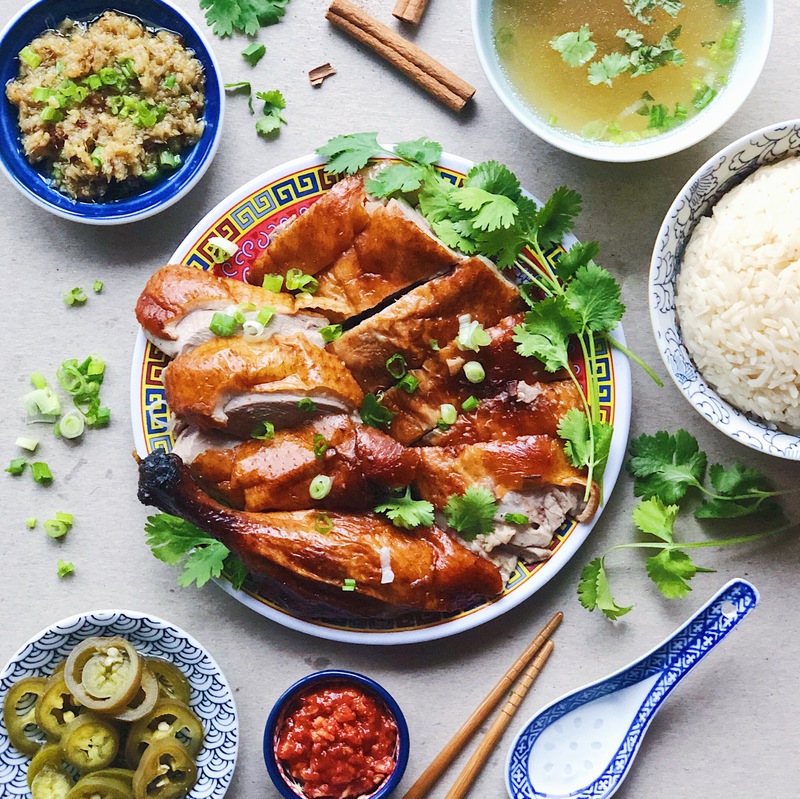 There are lots of talented people taking photos of food out there, but using props that represent your personal style can turn generic subjects into a photo that only you could have taken. 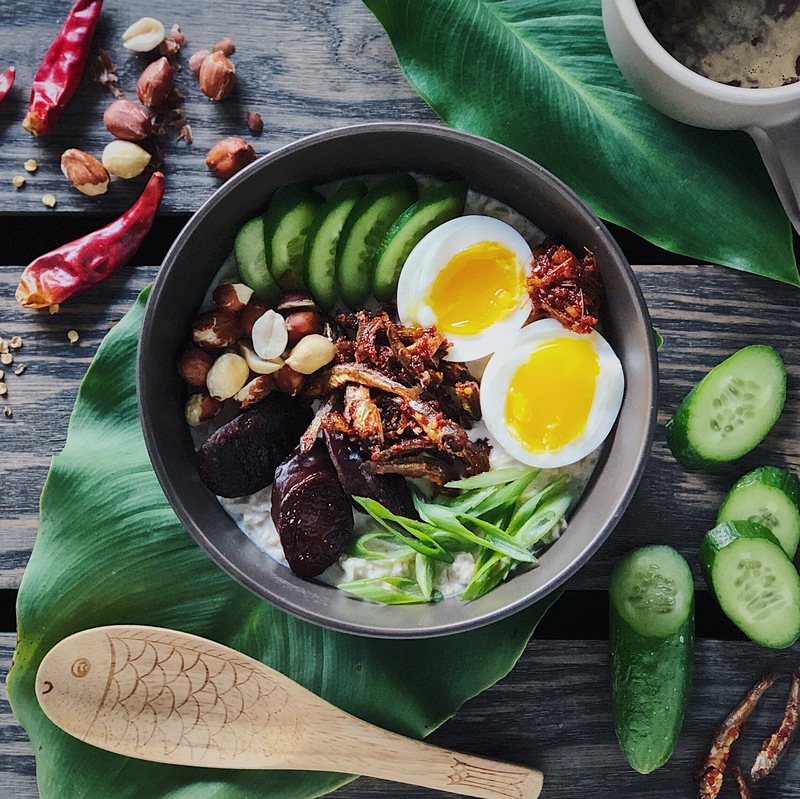 Interesting-looking plates and bowls are easy, relevant ways to incorporate personal flair into a food photo. (And thus, my collection of unmatching plates is getting a little out of hand!) Beyond that, think of what story you are trying to convey. If I’m styling a flat lay while visiting a foreign place, I like buying artsy postcards to use as props, conveying that I took the photo as a traveler. To convey a seasonal theme, I’ll go outside and forage for random leaves to frame my subject with. Just make sure you aren’t taking the focus away from your main dish. Use colors that complement your food/theme or have all your props match the same color scheme. 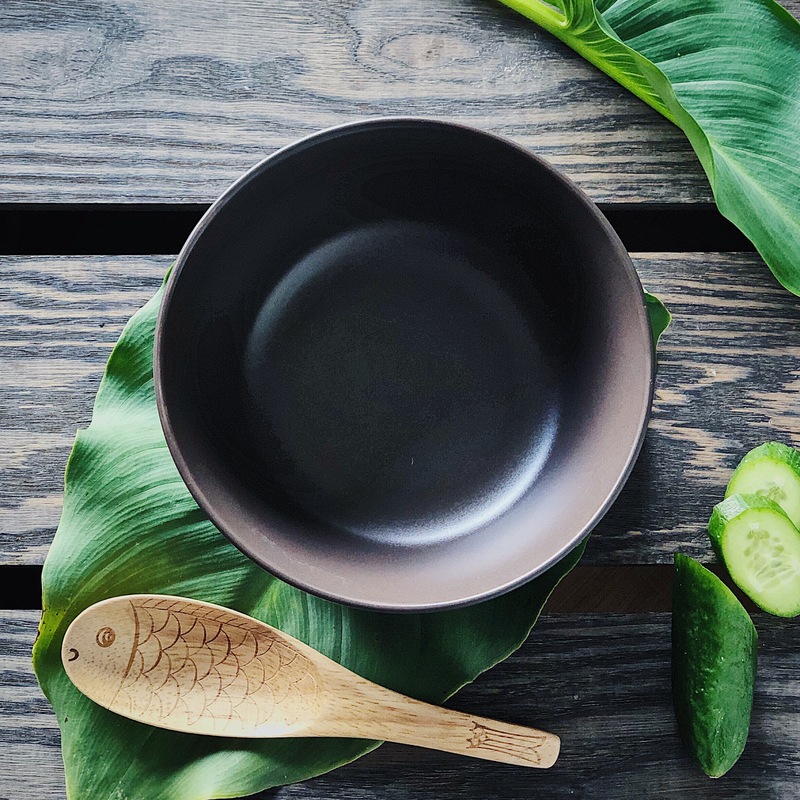 The supplemental items you choose while styling your flat lay can also help deepen your viewer’s understanding of the food itself. When shooting a homemade dish, my typical strategy is to use ingredients as props. 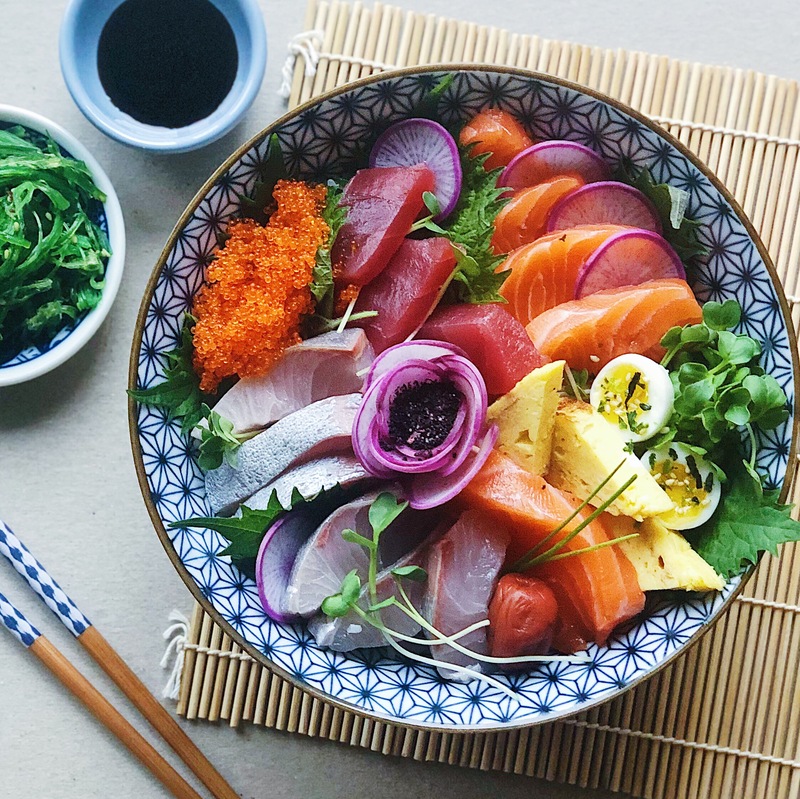 If there’s a garnish like furikake on my main dish, I’ll also pour extra into a tiny bowl to include in the corner of the photo or I’ll scatter some around over the backdrop. Discarded produce stems and peels can help tell the story of how the dish was prepared as long as they still look fresh. When using this styling strategy, you’ll want the placement of your scattered ingredients to look natural without looking too messy. I think this just comes with practice. Keep your hands close to the surface of your backdrop and scatter gently to retain some control—this is not the time to be salt bae! I hope these tips have helped demystify the food photography flat lay. Do you think flat lays are a good approach for food photography? For more awesome Food Blogging posts, check out our Food Blogging section HERE. For great restaurant recommendations, check out our Locations tab HERE. Previous Post Barrel: The Best Carbonara in DC?